You’ve written a book – perhaps a memoir, a nonfiction book on a subject you care about, or a scholarly book. You’ve poured yourself into this project, and now you need help to make it ready for readers. As a trained and experienced editor, I offer a deeply attentive and impartial reading of your manuscript and offer specific suggestions for revision. I am a member of Editors Canada and adhere to Professional Editorial Standards. You have a completed manuscript, and you need someone to look at the "big picture" and give you specific suggestions for revision. You are satisfied with structure of your manuscript, but you want to refine paragraphs and sentences and make sure that the meaning is clear. You are happy with the structure of your manuscript, and you are ready to have it edited for grammar, punctuation, spelling, and usage. Choosing an editor who will be the right fit for you and your book can be a daunting task. 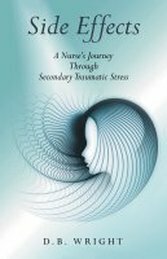 I hired Ellie for my book Side Effects: A Nurse’s Journey Through Secondary Traumatic Stress because of her experience in editing nonfiction, and her interest in memoir. From the start, I felt that Ellie really understood the goal of my book and most importantly the tone I was hoping to achieve. Her insightful comments were always helpful and she was a pleasure to work with. ​It has been my good fortune to have Ellie Barton as copy editor. Her work harmonizes aspects of form and style, bringing them into conformity with the publisher’s expectations, but more importantly in my view, Ellie offers comments on awkward wording, instances of heavy overstatement, and the points at which the text is quite simply unclear. Her editing has made my Reading Alice Munro with Jacques Lacan a better book. I was a writer before I became an editor. I started out as a reporter for The Whig-Standard, and moved on to work as a communications officer for nonprofit health-care organizations in Kingston, Ontario. I've written feature articles, profiles, book reviews, annual reports, and two local history books. I steeped myself in creative nonfiction and tried to emulate those heights. In 2004, when I needed a change, I discovered that editing was what I wanted to do all along! But since I've never had a lot of self-confidence, I felt the need to train for this new career. I completed a Certificate in Publishing at Ryerson University and a course in developmental editing at the Author-Editor Clinic in Seattle, and attended several seminars, webinars, and conferences hosted by Editors Canada. I work with independent authors who are self-publishing or preparing to submit their manuscript to a publisher or an agent. I am also a freelance copy editor for McGill-Queen's University Press. I've worked on everything from academic journal articles to romance novels. Six years ago, I co-developed WRIT 265: Editing in Academic and Professional Contexts, an online course at Queen's University that follows the Professional Editorial Standards set out by Editors Canada. I've been the instructor since 2014. In what feels like a former life, I have a degree in English and history from Trinity College, University of Toronto, a Master's in English, specializing in Canadian literature, from Queen's University, and a Bachelor of Education from Queen's.